Merton Naydler joined the RAF at the age of nineteen and served for the next six years until May 1946, flying Spitfires and Hurricanes during a tour of duty that took him to North Africa, Burma and Malaya. 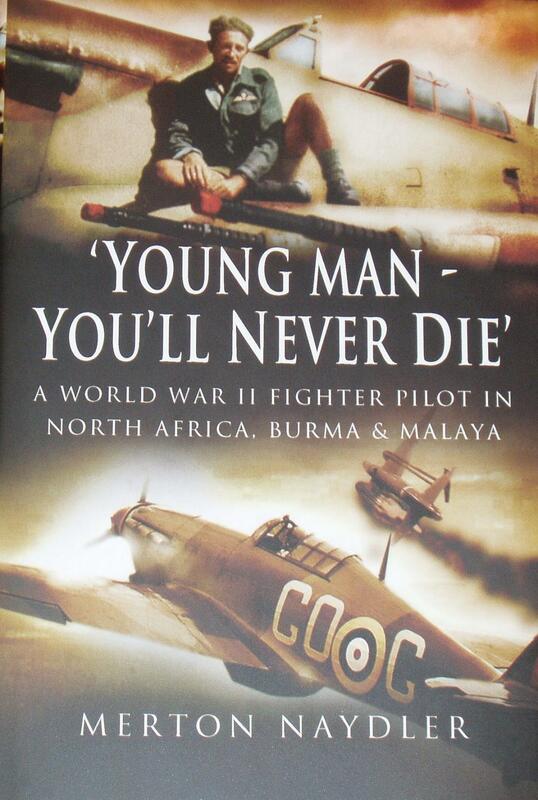 This well written and fascinating personal account portrays wartime life in the desert environment where sand and flies and life under canvas made living and flying a daunting experience. And when the author was posted to Burma he was filled with 'a deep and genuine dread' - after a long uncomfortable trip he joined 11 Squadron and was now faced with Japanese Zeroes in combat over dense tropical jungle rather than Bf 109s over a barren desert terrain. 'Daytime flying was hot as hell, the humidity intense' - the author's description of his new posting that goes on to describe life in 'Death Valley', named because of the likeliness of falling victim to tropical disease rather than enemy aircraft.